There are lots of reasons you might want to boot from a USB device, like an external hard drive or a flash drive, but it's usually so you can run special kinds of software. When you boot from a USB device, what you're actually doing is running your computer with the operating system that's installed on the USB device. When you start your computer normally, you're running it with the operating system installed on your internal hard drive — Windows, Linux, etc. 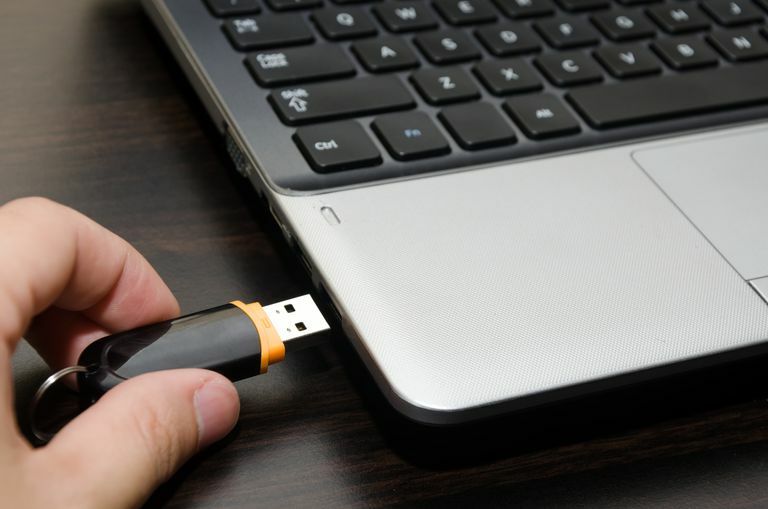 Time Required: Booting from a USB device usually takes 10–20 minutes but it depends a lot on if you have to make changes to how your computer starts up. Change the BIOS boot order so the USB device option is listed first. The BIOS is rarely set up this way by default. If the USB boot option is not first in the boot order, your PC will start "normally" (i.e., boot from your hard drive) without even looking at any boot information that might be on your USB device. The BIOS on most computers list the USB boot option as USB or Removable Devices but some confusingly list it as a Hard Drive option, so be sure to dig around if you're having trouble finding the right one to choose. After setting your USB device as the first boot device, your computer will check it for boot information each time your computer starts. Leaving your computer configured this way shouldn't cause problems unless you plan on leaving the bootable USB device attached all the time. Creating a bootable flash drive or configuring an external hard drive as bootable, is a task in itself. Chances are you made it to these instructions here because you know whatever USB device you have should be bootable after properly configuring BIOS. See our How to Burn an ISO File to a USB Drive tutorial for general instructions on doing exactly that, which tends to be the reason most people need to figure out how to boot from one. Since you're not actually inside of the operating system at this point, restarting isn't the same as using normal restart buttons. Instead, BIOS should explain which key to press — such as F10 — to save the boot order changes and restart the computer. Watch for a Press any key to boot from external device... message. Most of the time when trying to boot from a USB device, there is no key-press prompt. The USB boot process usually starts immediately. What happens now depends on what the bootable USB device was intended for. If you're booting from Windows 10 or Windows 8 installation files on a flash drive, the operating system setup will begin. If you're booting from a DBAN flash drive you created, it will start. You get the idea. Recheck the boot order in BIOS (Step 1). The number one reason a bootable flash drive or another USB device won't boot is because BIOS is not configured to check the USB port first. Didn't find a "USB Device" boot order listing in BIOS? If your computer was manufactured around 2001 or before, it may not have this ability. Remove other USB devices. Other connected USB devices, like printers, external media card readers, etc., could be consuming too much power or causing some other problem, which is preventing the computer from booting from a flash drive or another device. Unplug all other USB devices and try again. Or, if you have multiple bootable devices plugged in at once, the computer might simply be booting to the wrong device, in which case the easiest fix would be to remove all USB storage devices but the one you want to use right now. Copy the files to the USB device again. If you created the bootable flash drive or external hard drive yourself, which you probably did, repeat whatever steps you took again. You may have made a mistake during the process. See How to Burn an ISO File to USB if you started with an ISO image. Getting an ISO file onto a USB drive, like a flash drive, isn't as easy as just expanding or copying the file there. Switch to another USB port. The BIOS on some motherboards only check the first few USB ports. Switch to another USB port and restart your computer.